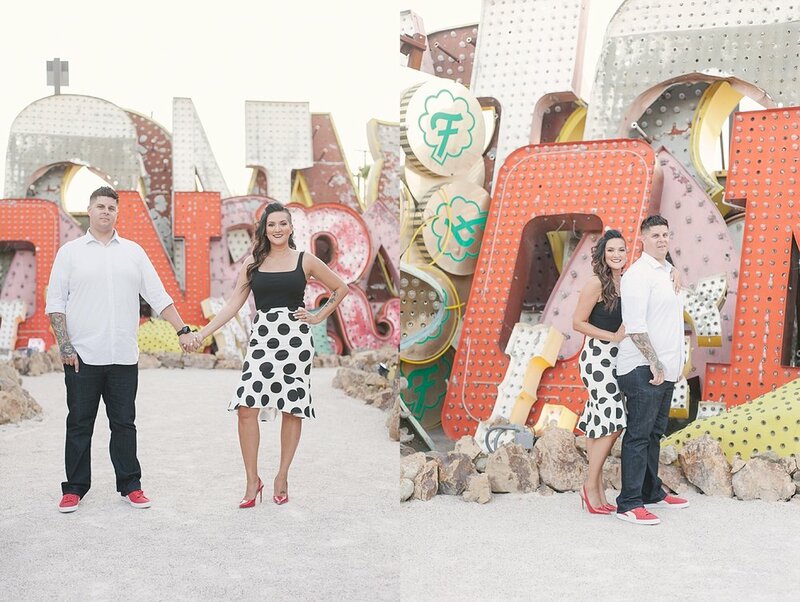 Marie + Chris are Las Vegas locals who have a special connection to Downtown Vegas. 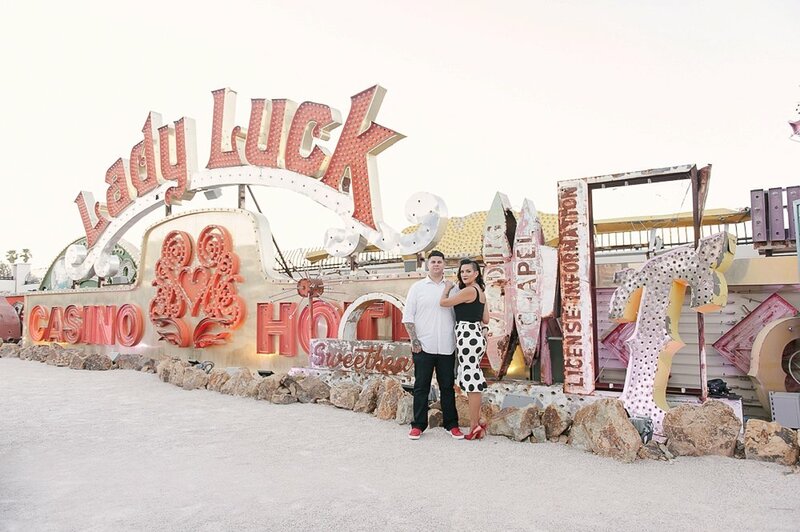 They love to hang out downtown and try new places to eat and enjoy drinks and music there. 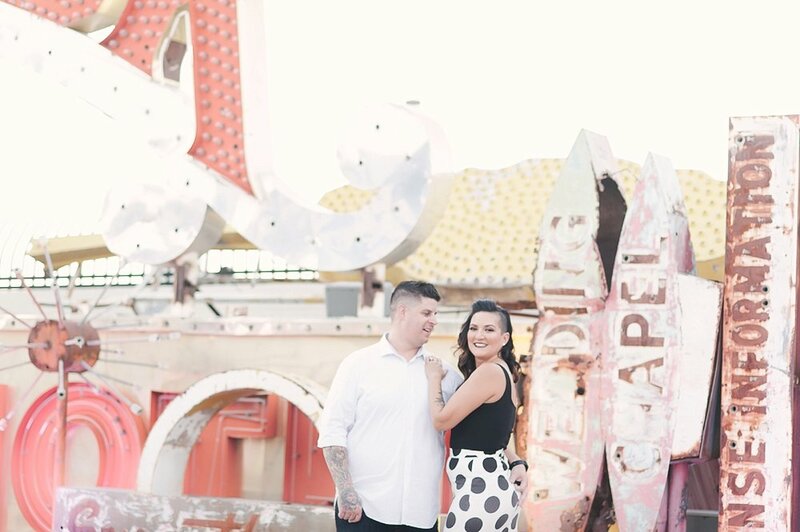 It's been a big part of their relationship so, when it was time for their engagement session, Marie knew that she wanted to incorporate some of their favorite places downtown. We couldn't be happier to tag along! 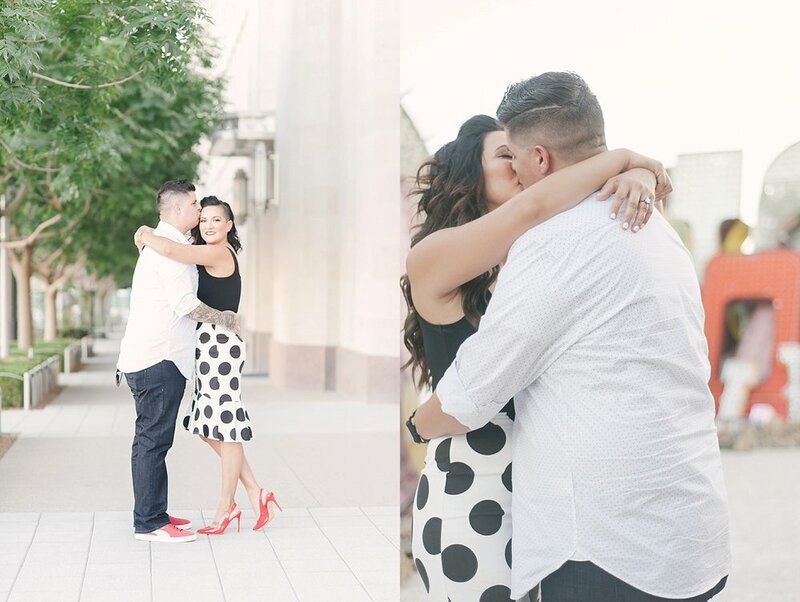 We absolutely loved walking around downtown chatting, laughing, and stopping by some of their favorite spots! Plus, they even gave us a few new food recommendations we have to go try out soon!